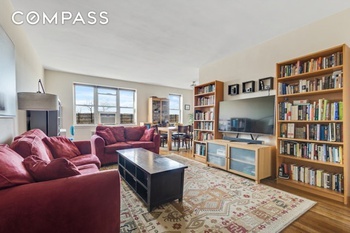 Rarely Available, Top Floor, Spacious Two Bedroom Two Bath, corner unit. 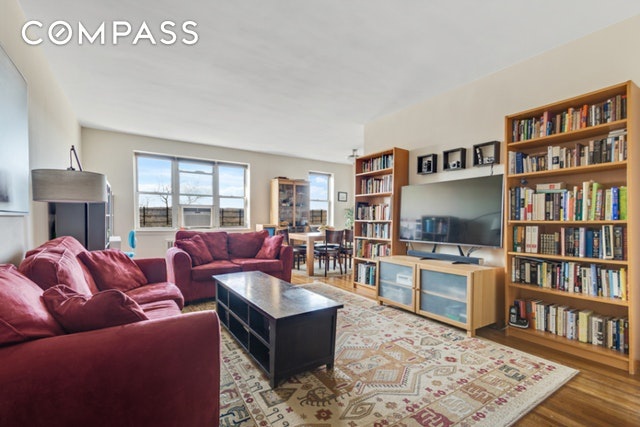 Rarely Available, Top Floor,Spacious Two Bedroom/Two Bath, corner unit. Foyer opens up to a large living room- west facing view of the Palisades. Master bedroom w/ensuite bath. L shaped living space and separate dining area. Renovated Kitchen complete with marble counter top, new appliances and custom cabinetry . Second bedroom w/full guest bathroom. Redone Hardwood floors throughout and 6 generous closets. Low monthly maintenance. Close to all transportation, shopping & places of worship. Off street parking, live-in super, pets allowed.